How the Outside Shapes the Inside. Christina Eckes*. Introduction. By offering its citizens an Area of Freedom, Security and Justice (AFSJ),1 the Union (Union or. Mar 5, 2018 - 121, 2018. 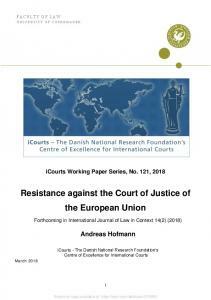 Resistance against the Court of Justice of the European Union. Forthcoming in International Journal of Law in Context 14(2) (2018). I. CRIMINAL JUSTICE IN THE INFORMATION AGE. The Federal ... prison or even arrested.1 As the list of database-solved criminal cases grows, one can. Nov 2, 2008 - Abstract. This paper reviews the British research literature on public trust and confidence in criminal justice. The review falls into three sections. 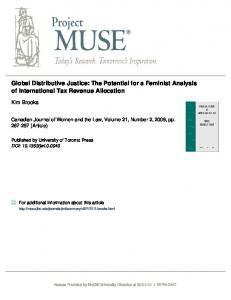 Jun 1, 2010 - Canada Health and Social Transfer: Ensuring Gender Equality in Federal ..... Expenses under the Income Tax Act, Child Care Expenses and ...... problemâthe major beneficiaries would be international businesses that. developed a national peace education curriculum for primary schools in Vietnam ... Now ask the second group to think of a problem for the first group to solve. Geoff Dancy Ph.D. candidate, University of Minnesota [email protected] Eric Wiebelhaus-Brahm Instructor, Florida State University eric.brahm[email protected] Paper Presented at the Annual Meeting of the International Studies Association, Montreal, Quebec, Canada, March 16-19, 2011. Abstract: Prevalent in current discussions of peace-building are various claims about the ways in which justice-seeking mechanisms--like human rights trials and truth and reconciliation commissions— can quell violent conflict. In fact, ‘transitional justice’ has attained the status of orthodoxy among global peace-promoting actors and international institutions. Though propositions about the pacifying effects of transitional justice mechanisms have swirled about for over a decade, to date very few comprehensive studies have adequately evaluated them. In fact, many ‘realist’ scholars oriented toward producing political order remain justifiably skeptical regarding the impact of transitional justice institutions: what if they actually are destabilizing and cause a relapse into violent conflict? Furthermore, there has been little interaction between legalistic approaches emphasizing ‘unproven possibilities’ and scientific approaches emphasizing ‘empirical realities.’ More specifically, those deeply involved with transitional justice have rarely crossed paths with those enmeshed in conflict studies. We seek to address the lack of hypothesis-testing and dialogue by constructing an integrated model of peace transition, duration, and conflict recurrence that incorporates the newest information on cross-national transitional justice efforts. Utilizing the PRIO dataset, we test the proposition that domestic trials and truth commissions are more effective than political amnesties and repression for producing a lasting peace. Depending on the model chosen, we show that transitional justice mechanisms at worst have no effect, and at best slightly extend the duration of peace following violent conflict. Our findings encourage a reevaluation of the peace v. justice debate, one that moves toward more humility on each side. Exceptions include Lie, et al. (2007) and Meernik et al. (2010). This paper will present and critique each of those pieces. 2 This dataset is the product of work that authors have performed alongside research with Kathryn Sikkink and Leigh Payne at the University of Minnesota, sponsored by the National Science Foundation. Geoff Dancy is the NSF project director at Minnesota, while Eric Wiebelhaus-Brahm remains officially unaffiliated. While this specific dataset is the authors’ construction, all content related to trials has been produced in coordination with the research team at Minnesota, whom the authors would like to extend special thanks. types of trials are all treated in the same way: they are coded as 1s in particular country-years. 3 Before elaborating how we address these concerns, we briefly review the literature on the durability of peace. The Philippines has enacted 16 amnesty laws since 1970. Countries with multiple truth commission include Uganda, Chile, and South Korea. Types of trials include international, foreign, and domestic (see Sikkink, forthcoming). This has the added benefit of allowing us not to reject as wholly insignificant those variables that have a strong effect but in the opposite direction to that expected. intend to learn directly from the data, rather than imposing deductive, theory-laden assumptions on the dataset we have collected.5 The next section elucidates the method we use for creating models that integrate the assertions of the peace science and transitional justice literatures. total battle deaths per year occur as a result of internal or internationalized internal conflict (Gleditsch et al 2002).8 The justification for observing peace spells in both democratic and conflict transitions is that scholarship predicts potentially adverse effects for accountability mechanisms on sustainable peace in either instance. In other words, for us the presence of a previous conflict is not a sufficient condition for the onset of a new conflict because democratic change might also usher in violence, especially if all actors do not accept democracy as the only game in town. temporal aggregation, as opposed to fine-grained disaggregation, is a recipe for losing valuable information and weakening the robustness of statistical findings (see Freeman 1989). Furthermore, we impose no time limits on a spell for it to count. Whereas Lie et al. (2007) only include peace spells that last for at least two years, we treat any period of peace as significant. Independent Variables Following the literatures we reviewed above, we split 21 potentially influential independent variables into four groups, which we order by sequential relevance. Group 1 includes characteristics of the previous conflict, and Group 2 includes characteristics of the conflict’s termination. These first two groups, because they precede the beginning of each peace spell, remain static over the duration of the peace spell. For this reason, they do not vary with time (i.e. they are not ‘time-varying covariates’). For example, if a violent conflict ended with a government victory, the following peace spell would be coded “1” for its entire duration. This type of coding is theoretically justified by the voluminous amount of work that highlights the path-forming nature of peace settlements and the balance of forces at the transition. For the variables in these groups, we use straightforward operationalizations that follow convention practice (See Table 1). However, one variable that requires some additional explication is ‘Risk Set’. We utilize this variable to capture the patterns of conflict and peace in each country over time. Risk Set is used to delineate how many previous transitional peace spells a country has experienced. The first post-conflict or democratic transition peace spell that a country undergoes during the 1970-2009 period is scored as “1” during the duration of the spell. If a conflict recurs, then ends, the following peace spell is coded as “2”, and so on down the line. In our sample, the highest number for Risk Set is 6 for Senegal. That is, five times Senegal experienced a violent conflict that ended and was followed by a peace spell. We utilize Risk Set to control for the relative proneness of some countries to be serially conflictual. to be a useful approach to follow. As realists would have it, domestic trials risk not only overburdening already over-taxed judiciaries (Cobban 2007), but also stirring up trouble with those holdover elements from the previous conflict who do not want to be targeted by a transitional regime. Legal supporters would reply that domestic trials strengthen the rule of law, potentially reviving a dormant judicial branch of government (Smulovitz 2002), and interrupt conflict patterns by targeting those responsible for instigating mass violence. expect more domestic trial activity to have a more pronounced effect on the durability of peace over time. d. International trials Though scholars usually support or attack trials in the abstract, much of the debate really centers on the role of international courts—both ad-hoc tribunals and the International Criminal Court. International courts are lightning rods for criticism because they represent starkly outside, ‘Western’ intervention into the affairs of sovereign states and cultures. Some see such interventions as not only neo-imperial, but meddlesome and counter-productive because they halt naturally unfolding peace processes (Tully 2005; Turner 2008; Subotić 2009; Branch 2007; Fiss 2009). Others argue that positive, though incremental, changes have been ushered in through the operation of such courts, which have inspired moves toward victim satisfaction in the former Yugoslavia (Nettelfield 2010; Orentlicher 2010) and peace in African states (Akhavan 2009). In cross-national empirical research, only two studies have even begun to incorporate international trials into empirical studies. Whereas Meernik et al. (2010) observe only those countries subject to ad-hoc court jurisdiction (the former Yugoslavia, Rwanda, Sierra Leone, East Timor, and Indonesia). Kim and Sikkink (2010) include these plus Cambodia and those countries that have trials involve former heads of state and high-level officials, but trials of lower level officials including police officers and prison guards are also included. Prosecutions can be initiated either by governments themselves or by individuals or groups. In common law countries, only governments initiate criminal prosecutions, but in some civil law systems, victims and groups representing victims acting as ‘private prosecutors’ may initiate criminal proceedings either directly or indirectly” (Kim and Sikkink 2010:248). been investigated by the International Criminal Court—Uganda, the Sudan, the DRC, and Kenya. We follow the latter strategy, and as with the other justice-related variables, we count up for every year that a country is subject to internationalized trial proceedings. e. Foreign Trials A final type of judicial activity that we include in our analysis is prosecution through foreign trials, which involve one state’s efforts to prosecute citizens of another state under international human rights treaty law. Universal jurisdiction is often confused with the officially authorized jurisdiction of international courts, but it is a fundamentally distinct process. Few have endeavored to document all uses of universal jurisdiction, but we include up to 18 different countries whose citizens have been tried by foreign courts. Where Kim and Sikkink (2010) lump these together with international trials, we keep them separate in order to observe any unique impacts associated with foreign trials specifically. One of the most influential books written on transitional justice, The Pinochet Effect, concerns the way in which a universal jurisdiction case initiated by Spain against Augusto Pinochet jump-started judicial activity in Chile (Roht-Arriaza 2005). Left unaddressed is how foreign trials might influence peace. One possibility is that foreign trials could indict human rights abusers in the midst of intractable conflict, or during times when it is unlikely that domestic courts will have the capital or the inclination to do so themselves. On the other hand, Goldsmith and Krasner (2003:51) argue, with little substantiation, that ‘‘a universal jurisdiction prosecution may cause more harm than the original crime it purports to address.’’ We weigh in on this debate by considering the independent effect of foreign trials on the duration of peace spells. We use ‘years’ because we do not have a raw count of actual trials, and counting up by each month following initial trial activity would artificially inflate the magnitude 12 The only difference here is that amnesty laws themselves, not the duration of amnesty laws, is counted. To date, no data exists on the duration of such laws. Because they are legal enactments, we treat them as if they have a lasting effect throughout the period following their passage. 13 The only drawback to this method is that it creates what we refer to as the ‘straddler problem.’ Because variables with sustained coding can roll over from one peace spell to a following conflict spell, then onto another peace spell, it means that the effect of the mechanism straddles different transitional periods. This problem is most pronounced for truth commissions, which are temporary bodies that do not continue to operate in the future, as trials and amnesties do. There are only five straddlers. Two, Central African Republic and Uganda ’86, are coded across multiple spells, where Haiti, Nepal, and Nigeria inherit truth commissions from previous conflict periods. We test the effects of alternate coding for truth commissions in Model 5.
combined, additive effects of accountability mechanisms over time would be ignored. Third, methodologically speaking, sustained coding heavily weights those cases in which more trialyears have been observed, which is appropriate given that those cases are by all accounts the ones that have the highest raw number of trials. In short, the number of trial years is a good proxy for the total number of trials. Now that our coding decisions have been explained, we turn to a presentation of our findings, which are various and, at times, surprising. We first discuss two hot-button issues—context and sequencing—and then proceed to a detailed exploration of our empirical findings. Findings Context and Sequencing One regrettable thing about complex statistical presentations is that they typically leave out useful descriptive summaries that address long-standing questions. For example, in what context are different mechanisms most likely to be instituted? John Gerring et al. (2005), in a related fashion, argue that democracy should be coded as a stock variable, meaning that its scores should accumulate over time. ultimately emerges is a fairly diverse spread. Generally speaking, though, a few patterns are visible. First, all of the mechanisms are more prevalent in peace spells following negotiated settlements, and least likely after rebel victories. (The only exception is amnesty laws, which are most likely to follow government victories in internal conflict.) This finding we might expect because issues of how to reckon with former abuses commonly arise during unfolding processes of negotiation between previously warring parties. Second, all of the mechanisms are more common to peace spells following democratic transitions, but roughly half are initiated during non-democratizing peace spells or during resumed conflict periods. Unexpectedly, Table 2 demonstrates how much is missed when only democratic transitions are studied. It also suggests that modeling strategies should take into account the potential for peace durability to differ with peace spell context. * The first figure is the raw total, and the figure in parentheses is total number of country cases **Because the paper is about peace spells, mechanisms in this column, which occur during resumed conflict spells, are excluded from the statistical analyses. Cox models are semi-non-parametric, meaning that they allow the modeler to make fewer assumptions about the distribution of failure times or the baseline failure rate (see Box-Steffensmeier and Jones 2004). The use of single events brings with it the problematic assumption that various peace spells in the same country are independent of one another. We would prefer to use repeated events using conditional risk analysis to account for this. However, because peace spells do not directly follow one another in time—due to the presence of interim conflict periods—this mode of analysis is unusable. We control for the effects of multiple spells per country by including the risk set variable, which identifies those spells that are repeated events within our sample. We also include variables that are unique to the country over time. Our interpretation here is still speculative because we have not done enough to distinguish between different types of amnesties. This is a future direction in which we hope to take the research (see conclusion). every additional year that a truth commission operates in a country, the survival time for peace decreases by around 10.5%. This provides some validation to those skeptics who have stringently critiqued the ‘baseless’ empirical assumptions that inform the truth-telling-asreconciliation model (e.g. Mendeloff 2004). Finally, domestic trials appear to exert an effect opposite to that of amnesties and truth commissions. For every additional trial year a government produces, the risk of conflict recurrence decreases by 10.6%. Taken together, these results suggest that, in line with weaker findings produced by Lie et al. (2007), retributive modes of justice are more effective for resolving conflict, whereas truth-telling and legal immunity are more likely to exacerbate tensions. Finally, variables measuring structural features of the polity also achieve significance. The squared measure of regime type (Polity2) is statistically significant and negative. This indicates that both strong autocracies and strong democracies are at lower risk of conflict resumption. For every unit increase in the squared term, which can reach as high as 100, the failure rate decreases by 0.9%. A country’s total population also seems to make a difference. The larger the population, the more likely a peace spell is to break down. The presence of more people creates more opportunities for grievances to (re)emerge. GDP per capita, while close to the conventional .05 benchmark for significance, falls short. However, the direction indicates that, if anything, wealth bolsters the duration of peace. While Model 1 performs very well, and does not violate the proportional hazard assumption,19 we still have qualms about the full specification. The reason is that 18 peace spells are dropped because of missing GDP and population data from the World Bank. As a corrective, we exclude these variables and re-run the analysis to produce the results listed under Model 2. We tested this using a global chi-square test, which was statistically insignificant (p-value = 0.254), indicating that the hazard assumption holds. accountability and retributive justice, either domestic or international, are peace-promoting in those places where they are proceeding along with other democratic institutional developments. By contrast, truth commissions in cases of democratic transition are counter-productive, as are efforts from individual foreign states to attempt to impose justice from the outside. Democratizing peoples, it seems, favor firmer justice to airing of ‘truths,’ and they prefer that justice be provided by their own governments or organs of the United Nations. Finally, Model 3 also shows that even rebel victories preceding democratic peace spells lower the risk of future violence, as do ceasefire agreements. One might surmise that this indicates a greater satisfaction in nascent democracies with whichever group or method accomplished the feat of conflict termination. In the non-democracies represented by Model 4, however, only government victory is powerful enough to lower the risk of future outbreaks of violence. Finally, Model 5 repeats Model 2 for the full sample, except it substitutes the truth commission variable used in Models 1-4 with an alternate measure. The alternate measure, alluded to in footnote 12, does not sustain truth commission year coding beyond the spell in which a truth commission completed it operations. Unlike trials and amnesty laws, which have more continuous properties, truth commission operation is a discrete institutional event with a finite end. When we switch measures and re-run the model, all of the variables remain consistent with Model 2, with the exception of Polity squared and the new truth commission variable, which changes direction and loses significance. This makes us highly suspicious of our truth commission findings, but also of our regime type findings. Although we checked for correlations between these variables and others, finding none that were abnormally high, we remain unsure of the stability of the findings regarding truth commissions especially. Thus, we caution against grand theoretical inferences based on this particular set of results. consequences for how satisfied victims, former fighters, and the public at large are with transitional justice. Finally, we have attempted to isolate the independent effects of different accountability mechanisms. However, increasingly, different forms of transitional justice are used in the same country, whether simultaneously or sequentially. It would be beneficial to explore how different combinations and interactions affect the durability of peace spells. A final word. It is the nature of academics and critical observers to stress counterintuitions, and to isolate the negative consequences of unreflective progressivist actions. The world is better for this kind of intellectual pushback. However, at times such criticisms become ossified, and their authors become incapable of updating. In an intriguing historiography, Madeiline Fullard and Nicky Rousseau (2008) demonstrate convincingly that historians’ criticisms of the South African TRC had formed and frozen at the onset of the organization’s operation. These criticisms became rote, routine statements and re-statements for public and media consumption, even as commissioners went to great lengths to address them. In short, the people of the TRC learned and adapted, but their detractors did not. We are afraid a similar process might be taking place around the initiation of human rights trials, whether domestic or international. While these institutions and their practitioners work hard to avoid pitfalls learned from the past, the same ‘threat to peace’ disparagement is continuously trod out, almost dutifully. We are not sure if all human rights trials promote justice, or whether reconciliation remains a quixotic aspiration, but based on the most nuanced data available on conflict patterns, we can say that holding trials does not seem to inspire resumption of civil war. commissions and amnesties do need to be closely monitored and re-examined for their conflictinspiring potential. Regardless of our findings, any claims that are at root empirical need thorough fleshing out—before that, they need humility. Cobban, Helena (2007), Amnesty After Atrocity? Healing Nations after Genocide and War Crimes (Boulder, CO: Paradigm Publishers). Collins, Cath (2010), Post-transitional justice : human rights trials in Chile and El Salvador (University Park, Pa.: Pennsylvania State University Press) xiii, 277 p. Collier, Paul, and Anke Hoeffler. (2002) On the Incidence of Civil War in Africa. Journal of Conflict Resolution 46: 13-28. Dancy, Geoff (2010), 'Impact Assessment, Not Evaluation: Defining a Limited Role for Positivism in the Study of Transitional Justice', International Journal of Transitional Justice, 4 (3), 355-76. Dancy, Geoff, Kim, Hunjoon, and Wiebelhaus-Brahm, Eric (2010), 'The Turn to Truth: Trends in Truth Commission Experimentation', Journal of Human Rights. Dancy, Geoff (2011). ‘Choice and Consequences in Strategies of Transitional Justice’ in The Handbook of the Political Economy of War, eds. Chris Coyne and Rachel Mathers. Edward Elgar Publishing. De Greif, Pablo and Duthie, Roger (2009), Transitional Justice and Development: Making Connections (New York: Social Science Research Council). Doyle, Michael, and Nicholas Sambanis. (2000) International Peacebuilding: A Theoretical and Quantitative Analysis. American Political Science Review 94: 779-801. Drumbl, Mark (2007), Atrocity, Punishment, and International Law (Cambridge: Cambridge University Press). Elster, Jon. (2004) Closing the Books: Transitional Justice in Historical Perspective. New York: Cambridge University Press. Fearon, James D. (2005) Comments on the Ex Ante/Ex Post Problem in Transitional Justice. Paper presented at the Transitional Justice and Civl War Settlement Workshop, Bogota, Colombia, October 18-19. Fearon, James D., and David D. Laitin. (2003) Ethnicity, Insurgency, and Civil War. American Political Science Review 97: 75-90. 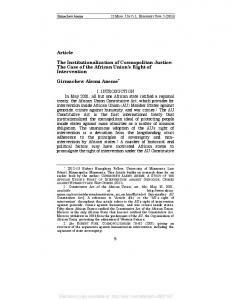 Fiss, Owen (2009), 'Within Reach of the State: Prosecuting Atrocities in Africa', Human Rights Quarterly, 31, 59-69. Fletcher, Laurel, Weinstein, Harvey M., Rowen, Jamie (2009), 'Context, Timing, and the Dynamics of Transitional Justice: A Historical Perspective', Human Rights Quarterly, 31, 163220. Fortna, Virginia Page. (2004) Does Peacekeeping Keep Peace? International Intervention and the Duration of Peace After Civil War. International Studies Quarterly 48: 269-292. Freeman, John R. (1989), 'Systematic Sampling, Temporal Aggregation, and the Study of Political Relationships', Political Analysis, 1 (1), 61-98. Freeman, Mark (2009), Necessary Evils: Amnesties and the Search for Justice (Cambridge: Cambridge University Press). Fullard, Madeliene and Rousseau, Nicky (2008), 'Uncertain borders: The TRC and the (un)making of public myths', Kronos. Gerring, John et al. (2005), 'Democracy and Growth: A Historical Perspective', World Politics, 57 (3), 323-64. Gleditsch, Nils Petter, et al. (2002), 'Armed Conflict 1946-2001: A New Dataset', Journal of Peace Research, 39 (5), 615-37. Gloppen, Siri. (2005) Roads to Reconciliation: A Conceptual Framework. In Roads to Reconciliation, edited by Elin Skaar, Siri Gloppen, and Astrid Suhrke. Lanham, MD: Lexington Books. 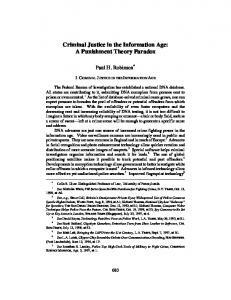 Hadden, Tom, (2004) Punishment, Amnesty and Truth: Legal and Political Approaches. In Democracy and Ethnic Conflict: Advancing Peace in Deeply Divided Societies, edited by Adrian Guelke. New York: Palgrave Macmillan. Hartzell, Caroline. (1999) Explaining the Stability of Negotiated Settlements to Intrastate Wars. Journal of Conflict Resolution 43: 3-22. Hartzell, Caroline, and Matthew Hoddie. (2003) Institutionalizing Peace: Power Sharing and Post-Civil War Conflict Management. American Journal of Political Science 47:318-332. Hartzell, Caroline, Matthew Hoddie, and Donald Rothchild. (2001) Stabilizing the Peace After Civil War: An Investigation of Some Key Variables. International Organization 55: 183-208. Hayner, Priscilla (2010), Unspeakable Truths, Volume 2. Hegre, Havard, Tanja Ellingsen, Scott Gates, and Nils Petter Gleditsch. (2001) Toward a Democratic Civil Peace? Democracy, Political Change, and Civil War, 1816-1992. American Political Science Review 95:33-48. Huntington, Samuel (1968), Political Order in Changing Societies (New Haven, CT: Yale University Press). Huntington, Samuel P. (1993) The Third Wave: Democratization in the Late Twentieth Century. Norman, OK: University of Oklahoma Press. Huyse, Luc (1995), 'Justice After Transition: On the Choice Successor Elites Make in Dealing with the Past. ', Law & Social Inquiry, 20 (1), 51-78. Kaufmann, Chaim. (1996) Possible and Impossible Solutions to Ethnic Civil Wars. International Security 20: 136-175. Kaufmann, Chaim. (1998) When All Else Fails: Ethnic Population Transfers and Partitions in the Twentieth Century. International Security 23: 120-156. Kim, Hunjoon (2008), 'Expansion of Transitional Justice Measures: A Comparative Analysis of Its Causes', (University of Minnesota). Kim, Hunjoon, and Kathryn Sikkink. (2008) Do Human Rights Trials Make a Difference? Paper presented at the Annual Meeting of the International Studies Association, San Francisco, CA, March 26-29. Kim, Hunjoon, and Sikkink, Kathryn (2010), 'Explaining the Deterrence Effect of Human Rights Prosecutions', International Studies Quarterly, forthcoming. Kritz, Neil J. (ed. ), (1995), Transitional Justice: How Emerging Democracies Reckon with Former Regimes (Washington, D.C.: United States Institute of Peace). Leebaw, Bronwyn A. (2008), 'The irreconcilable goals of transitional justice', Human Rights Quarterly, 31, 95-118. Licklider, Roy. (1995) The Consequences of Negotiated Settlements in Civil Wars. American Political Science Review 89: 681-690. Lie, Tove Grete, Helga Malmin Binningsbø, and Scott Gates. (2007) Post-Conflict Justice and Sustainable Peace. 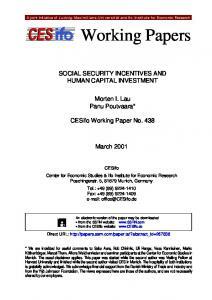 World Bank Policy Research Working Paper 4191. Long, William J., and Peter Brecke. (2003) War and Reconciliation: Reason and Emotions in Conflict Resolution. Cambridge, MA: MIT Press. Mani, Rama. (2002) Beyond Retribution: Seeking Justice in the Shadow of War. Cambridge, UK: Blackwell Publishers. Marshall, Monty G., Gurr, Ted Robert , and Jaggers, Keith (2010), 'Polity IV Project: Political Regime Characteristics and Transitions, 1800-2009', in Center for Systemic Peace (ed. ), (Fairfax, VA). Mason, T. David (2007 ), Sustaining the Peace After Civil War (Carlisle, PA: Strategic Studies Institute, US Army War College ). Mason, T. David, and Patrick J. Fett. (1996) How Civil Wars End: A Rational Choice Approach. Journal of Conflict Resolution 40: 546-568. Meernik, James D., Angela Nichols, and Kimi L. King. (2010) The Impact of International Tribunals and Domestic Tials on Peace and Human Rights After Civil War. International Studies Perspectives 11: 309-334. Mendeloff, David. (2004) Truth-Seeking, Truth-Telling, and Postconflict Peacebuilding: Curb the Enthusiasm? International Studies Review 6: 355-380. Nettelfield, Lara J (2010), Courting Democracy in Bosnia and Herzegovina: The Hague Tribunal's Impact in a Postwar State (Cambridge Studies in Law and Society; Cambridge: Cambridge University Press). Orentlicher, Diane F (2010), That Someone Guilty Be Punished: The Impact of the ICTY in Bosnia (New York: Open Society Institute). Orentlicher, Diane F. (2007), ''Settling Accounts' Revisited: Reconciling Global Norms with Local Agency', 1, 10-22. Pankhurst, Donna. 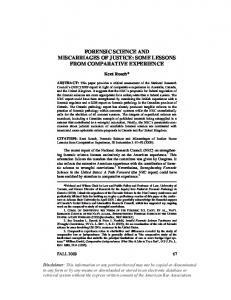 (1999) Issues of Justice and Reconciliation in Complex Political Emergencies: Conceptualizing Reconciliation, Justice and Peace. Third World Quarterly 20: 239-256. Quinn, Michael J., T. David Mason, and Mehmet Gurses. (2007) Sustaining the Peace: Determinants of Civil War Recurrence. International Interactions 33:167-193. Roht-Arriaza, Naomi (2005), The Pinochet Effect: Transnational Justice in the Age of Human Rights (Philadelphia: University of Pennsylvania Press). Rothchild, Donald, and Alexander J. Groth. (1995) Pathological Dimensions of Domestic and International Ethnicity. Political Science Quarterly 110: 69-82. Sambanis, Nicholas. (2000) Partition as a Solution to Ethnic War: An Empirical Critique of the Theoretical Literature. World Politics 52: 437-483. Sambanis, Nicholas. (2004) What is Civil War? Conceptual and Empirical Complexities of an Operational Definition. Journal of Conflict Resolution 48: 814-858. Schiff, Benjamin N., (2002) Do Truth Commissions Promote Accountability or Impunity? The Case of the South African Truth and Reconciliation Commission. In Post-Conflict Justice, edited by M. Cherif Bassiouni. Ardsley, NY: Transnational Publishers. Snyder, Jack, and Leslie Vinjamuri. (2003/2004) Trials and Errors: Principles and Pragmatism in Strategies of International Justice. International Security 28: 5-44. Sikkink, Kathryn (2011), The Justice Cascade: How Human Rights are Changing the World (New York: W.W. Norton). Sikkink, Kathryn and Walling, Carrie Booth (2007), 'The Impact of Human Rights Trials in Latin America', Journal of Peace Research, 44 (4), 427-45. Smulovitz, Catalina (2002), 'The Discovery of Law: Political Consequences in the Argentine Case', in Yves Dezalay and Bryant G. Garth (eds. ), Global Prescriptions: The Production, Exportation, and Importation of a New Legal Orthodoxy (Ann Arbor: University of Michigan Press), 249-75. Subotić, Jelena (2009), Hijacked justice: dealing with the past in the Balkans (Ithaca, NY: Cornell University Press) 201. Teitel, Ruti (2000), Transitional Justice (Oxford: Oxford University Press ). Tully, James (2005), 'On Law, Democracy and Imperialism', Twenty-First Annual Public Lecture (University of Edinburgh). Turner, Catherine (2008), 'Delivering lasting peace, democracy and human rights in times of transition: The role of international law', International Journal of Transitional Justice,, 2, 12651. Walter, Barbara F. (1997) The Critical Barrier to Civil War Settlement. International Organization 51: 335-364. 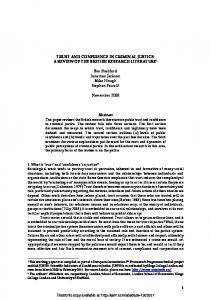 Walter, Barbara F. (2004) Does Conflict Beget Conflict? Explaining Recurring Civil War. Journal of Peace Research 41: 371-388. Weibelhaus-Brahm, Eric (2010), Truth Commissions and Transitional Societies (Security and Governance; New York: Routledge). Zalaquett, Jose (1995), 'Confronting Human Rights Violations by Former Governments: Principles Applicable and Political Constraints', in Neil J. Kritz (ed. ), Transitional Justice: How Emerging Democracies Reckon with Former Regimes (1; Washington D.C.: United States Institute of Peace), 3-31. 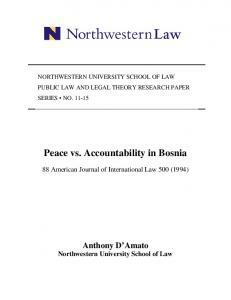 Report "Justice and the Peace - SSRN papers"
Copyright © 2019 MAFIADOC.COM. All rights reserved.